Help spread the word by liking our website! Heartworks Montana was founded in November of 2012. This play based preschool offers children the chance to thrive through hands-on child centered play & teacher guided activities. Children learn to care for each other and for the world that they live in by becoming partners with their classmates and nature. Learning through nature plays an important role in our curriculum. Our classroom is clean and bright with natural toys which all help to create a calming environment to learn, play and explore. Our program is limited to twelve children, ages one to five, with two teachers present, creating a "family like" atmosphere. Our mission is to create an environment where learning and exploring are modeled and encouraged. To create an atmosphere that is calm and uncluttered so imaginations can soar. To be fully present and in tune to each other’s needs as peers, as teachers and as friends so all types of communication are honored and every child's spirit is embraced. Thank you for your interest in Heartworks Montana Preschool. My name is Jennifer Brassard and I have been practicing my passion of teaching young children for over twenty years. I have a Bachelors degree in Elementary Education from the University of Vermont and I am a certified K-8 teacher. 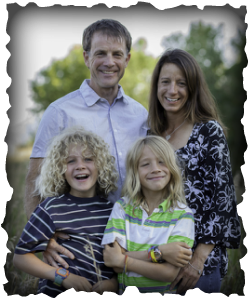 I moved to Montana in 2011 to be with my partner, Taylor Lonsdale, and his two children. I have grown to love the vast beauty and open spaces of Montana as well as the kind and loving community that surrounds us. My background as a preschool teacher comes from a Waldorf & Montessori inspired school in Vermont where the classrooms are uncluttered and clean, the learning centers were filled with items made from natural materials and the teaching tools were not commercialized. I brought with me a vision of a school that I wanted to create here in Montana that offers a safe and loving environment for children to explore, learn & grow through play. I believe in working as partners with parents and extended families, as we are all in this teaching/parenting journey together. My passion in work is to offer children a loving and peaceful place to learn and grow while giving them the tools to explore the world around them. My professional goal is to be able to offer classes and work with teachers and parents alike on how to best create this environment for our children, both within ourselves and in the space around us. My passion outside of work is spending time with my family and my horse, Reign. I have been riding since the age of ten and have always cherished the peacefulness of being around horses and the partnerships that I have developed with them. It’s a delicate balance of love, trust and communication, certainly something that I find useful in all facets of life, especially in my teaching.